Bright fluorescent, flat highlighters are great for accenting printed words and lines of text on originals, copies and faxes. The durable chisel point allows broad, medium or thin highlighting and underlining. Ink is fade-resistant, water-resistant, long-lasting and nontoxic. 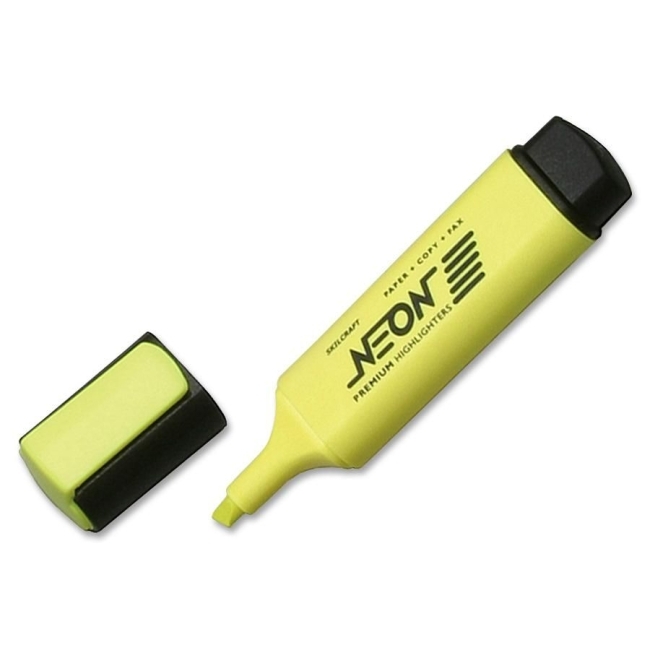 Flat barrel design keeps highlighter from rolling. Cap features a handy pocket clip and snaps securely to ensure airtight seal. Durable, nonroll design is perfect for use on desk or slanted surface. Each highlighter conforms to ASTM D-4236.